Wall Street thrives on making fees indecipherable and hard to understand. Due to this common practice, most people are not clear how much they pay in total fees. We practice voluntary transparency and will explain all the costs associated with our services. Many financial planners and advisors receive commissions on products they sell to their clients. They are paid commissions by the product companies, for example, mutual fund families and insurance companies. The problem with these commissions is that it creates a conflict of interest. 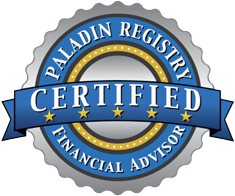 We are fee-only financial advisors. This means we do not accept any commissions in any form. Our only source of compensation is you, so our loyalty is only to you. We charge in arrears. So if you choose to cancel our services, you’re not paying for anything you didn’t get. Since we are in-house money managers, we often cut out a second layer of expenses associated with mutual funds or exchange traded funds (ETFs). We charge one asset-based fee based on your investment portfolio. Asset-based fees align our mutual interests. The only way our fee goes up is when your assets increase in value. While we do charge for initial financial planning, we want to encourage you to keep us informed of your changing life situations in order to be most effective in managing your money. So general ongoing financial advice is included with your asset-based investment management fee. Are You Ready to Retire ?